If you’re not in the know about pH balance, you probably haven’t really thought about it since high school chemistry – maybe college but that’s pushing it. But yet, labels on beauty products, feminine products and even some foods claim to “balance your pH levels.” That sounds nice but a lot of us don’t really understand what it means. Let’s face it – high school was a while ago and if the pH lesson isn’t one you remembered, it might be time for a little refresher. Here’s that chemistry pH lesson summed up in a couple of sentences: pH stands for potential of hydrogen. When experts talk about pH, they’re talking about whether something is acidic, neutral or alkaline. It’s used to describe the acidity levels in any product or substance, and in this case, the substance is our skin. To find this acidity level, pH measures the hydrogen concentration or the acid-alkaline ratio on a scale of 0 – 14. With zero being the most acidic and anything over 7 is considered alkaline, or basic. You never want too much of one thing, it’s all about achieving a balance. We try so many things to achieve balance in our lives – Wellness Wednesdays, Self-Care Sundays, Multi-Masking, Meditation, you name it – but when the pH of our skin isn’t balanced, it can cause a lot of problems. We want to find a balance on the scale that will have our skin feeling just right. Our body’s overall pH balance is about a 7, but the sweet spot for our skin is a 5.5 pH. It’s not quite in the middle, but that’s okay because our skin prefers things a little more acidic. Acid is a word that throws off a lot of people but our skin actually likes it, of course in moderation. Acidic conditions in the skin help to maintain our protective barrier– also known as the acid mantle. The acid mantle is a film of amino acids, lactic acids and oils that keep in moisture and protect the skin from harsh environmental factors like bacteria, toxins and pollutants. The acidic environment on our skin’s surface is the body’s first line of defense against the environment and is designed to keep our body’s largest organ in good shape. But, the success of this protective barrier is determined by the skin’s pH level, which is why balancing it is so important. There are advanced techniques to check pH levels in different products and environments. pH testing strips can help to gauge your body’s general pH, but for the most part, you can figure out your skin’s pH by its own behavior. All skin types have different acidity levels, which is why we need to choose skincare products according to our skin type. Your pH level determines whether you have dry, oily or normal skin. If your skin is constantly giving you trouble, that’s a sure sign that your pH is off balance. Healthy skin has a pH level between 4-6, again 5.5 is the sweet spot. Acidic Skin will have a lower pH level and is generally oily. Skin that’s too acidic will not only be oily, but it’s also often red, irritated, inflamed and more prone to breakouts, it may even be suffering from over exfoliating. Those with a pH level at 4 or lower tend to have chronic irritation because of extremely low pH levels and are more likely to have conditions such as eczema and rosacea. However, overly acidic skin is generally only caused by a very strong chemical peel, so your at-home products shouldn’t be strong enough to make your skin very high in acid. Alkaline Skin will have a higher pH level and is generally dry and fragile. Anything over 7 is considered alkaline, with the skin tending to be drier and maybe even flaky, making it more susceptible to aging and wrinkles. Products that dry out the skin, primarily cleansers that strip the protective barrier, generally cause an alkaline ph level. There are 2 primary factors that alter skin acidity: soaps and aging. Cleansing is one of the best parts of our day – twice a day, but sometimes what we’re using to cleanse may be doing our skin a disservice. If you’re washing your face with harsh soaps or a soap bar, you’ll probably start noticing dry and tight skin. That’s because soaps are more alkaline, and don’t have the right level of acidity to balance the skin. Then there’s aging. We try to delay the signs of aging as best we can, but aging naturally compromises the body’s ability to maintain-acidity. As we age, the skin gets dryer or itchier, which is why most anti-aging products provide hydration benefits. As far as cleansing goes, acidic cleansers (lower pH levels) work best for acne prone or oily skin. Your skin will stop pumping out so much oil, will not feel as sensitive and minimize breakouts. Cream cleansers (higher pH levels) are recommended to nourish dry and aging skin . Maintaining the correct pH balance is essential to minimizing common skin problems. Adding a product with acids to your routine can help bring down your skin’s pH levels if they’re too high. Introducing acid to the skin sounds scary but it can be done in many ways through a healthy skin regimen. Gentle acid exfoliators can help to get rid of the dry skin that comes from a high pH level. One of our personal favorites is a moisturizer with Alpha Hydroxy Acids, like our Harmony Glycopolymer Renewal Crème. Simply exfoliating with AHA’s is great too, a quick and easy way is with a glycolic acid soaked exfoliating pad – we recommend Glow to Go. No matter what your skin type is, toners are the best way to make sure your pH level stays balanced. Toners come in all shapes and sizes and can work to treat dry skin and oily/acne skin – something for everyone on both sides of the pH scale. We recommend Soothing Mist for combination and acne-prone skin, or Hydrating Mist for dry and aging skin. Typically, toners are applied with a cotton ball and swept across the skin after cleansing to remove excess impurities. 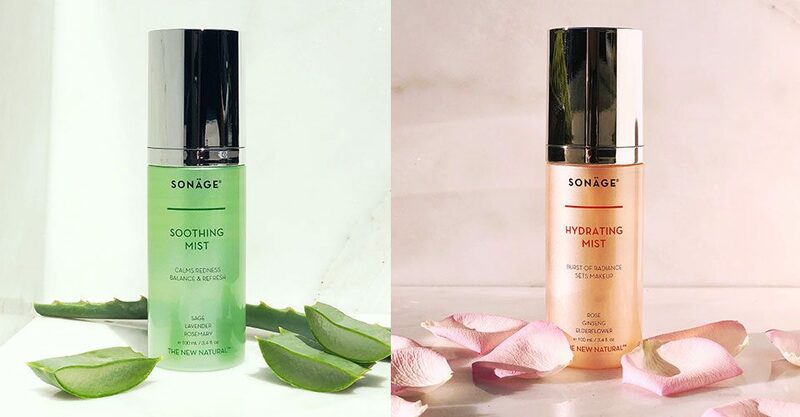 This is definitely not a step you should skip, but mists allow you to keep your complexion hydrated and nourished throughout the day – even over makeup. They work to restore clarity to the skin, prevent dryness and restore pH back to our skin’s desired 5.5 level. Your skin’s pH level is often an element that is overlooked, but it’s the determining factor for how your skin looks, reacts and ages. Take a moment and reevaluate your daily skin care regimen. After all, achieving healthier skin with the proper pH is just a balancing act! • Only choose properly pH balanced skin care products. Choosing skin care products that are pH balanced are crucial to restoring your skin to its natural, healthy state.